When alfalfa seeds get sprouted, they become a super healthy ingredient that adds crunchy flavor to salads and sandwiches. 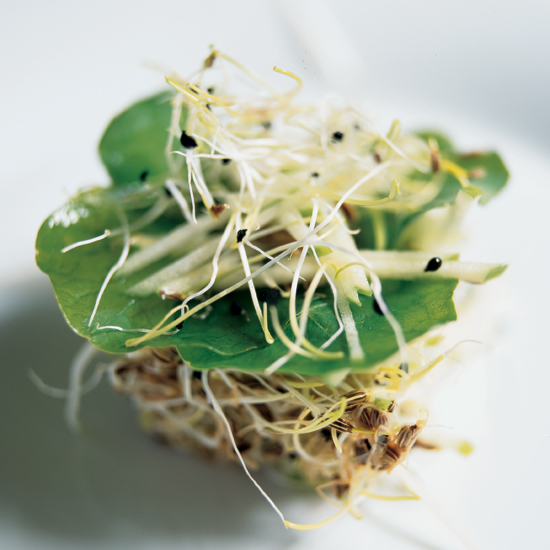 Sprouts are low in calories and dense in nutrients such as vitamin K and C, fiber and calcium. Here, our best recipes featuring alfalfa sprouts. 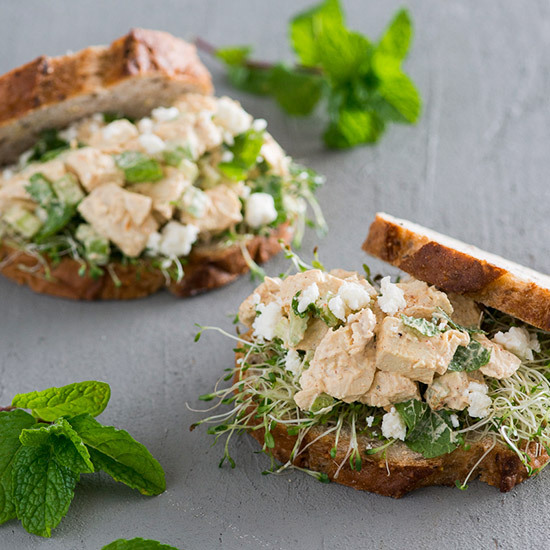 Fresh mint and briny feta elevate this simple chicken salad sandwich into a sophisticated lunch. 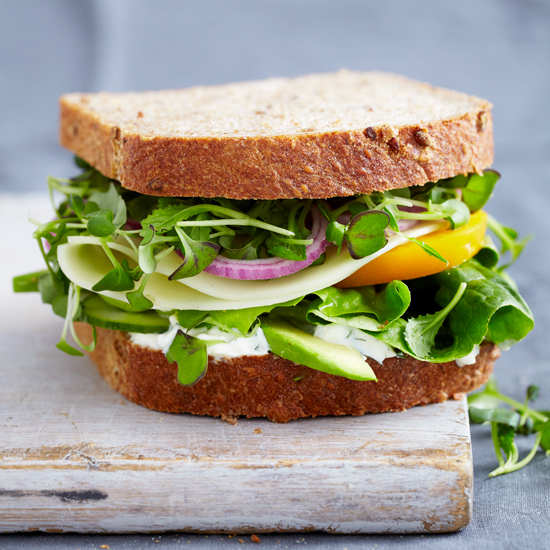 Stacked high with plenty of alfalfa sprouts and slices of tomato, onion, cucumber, avocado, and provolone cheese, this is a vegetable sandwich that even confirmed carnivores will love. You can add or substitute other fresh vegetables; radishes, spinach, or grated carrot go particularly well here. When you can't get good tomatoes, don't buy lousy, cotttony ones; use twice the amount of lettuce instead. 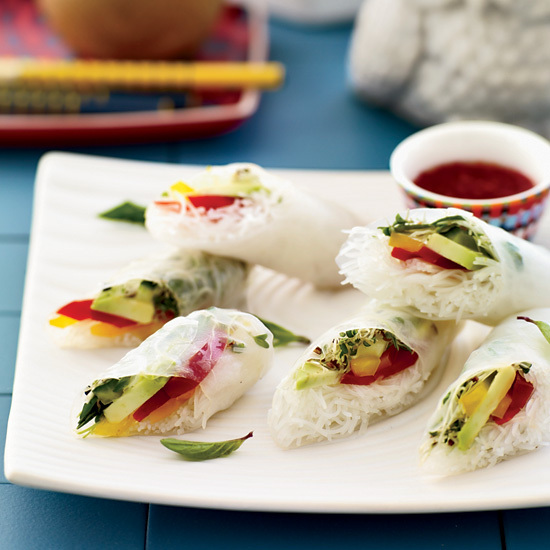 Wendy Leon says these rolls, filled with bell pepper and slivers of avocado, are an effective way to get her grandchildren to eat vegetables. 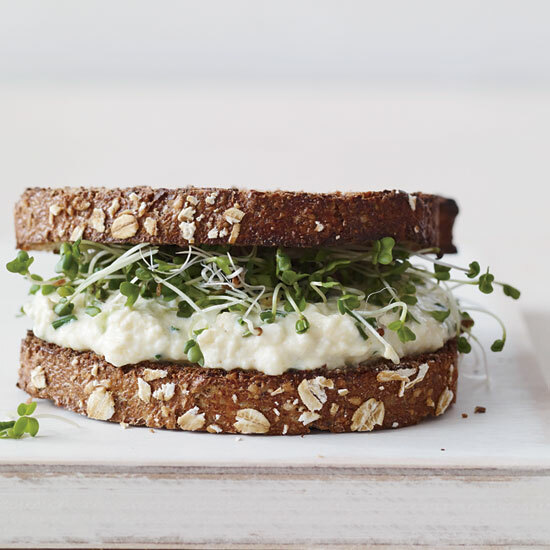 In this riff on a classic egg-salad sandwich, Melissa Rubel Jacobsonstirs finely chopped silken tofu with mayonnaise, mustard, chives and crunchy celery, then spreads it on whole wheat toast. To mimic the yellowish color of egg salad, she sometimes adds a little turmeric, but it's not necessary. 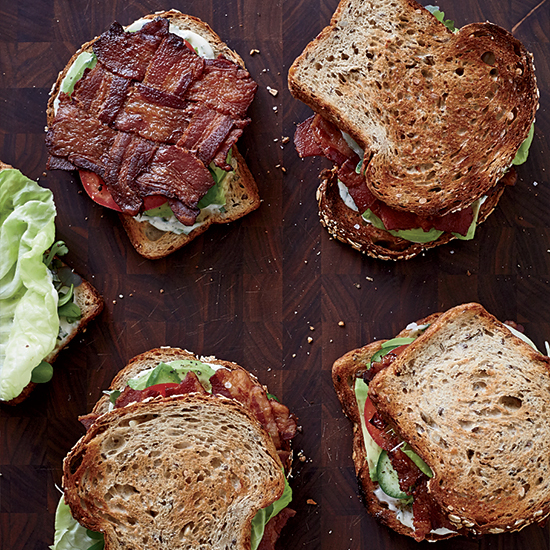 F&W's Justin Chapple makes sure there's bacon in every bite of his BLT by weaving the strips into a lattice before baking them. He adds California style with avocado and lemon-herb mayo.